Winterizing: Ready? Get Set... Start Now! All set to get your boat ready for the winter? If you aren’t, it’s time to start concentrating on what you’ll need to do. 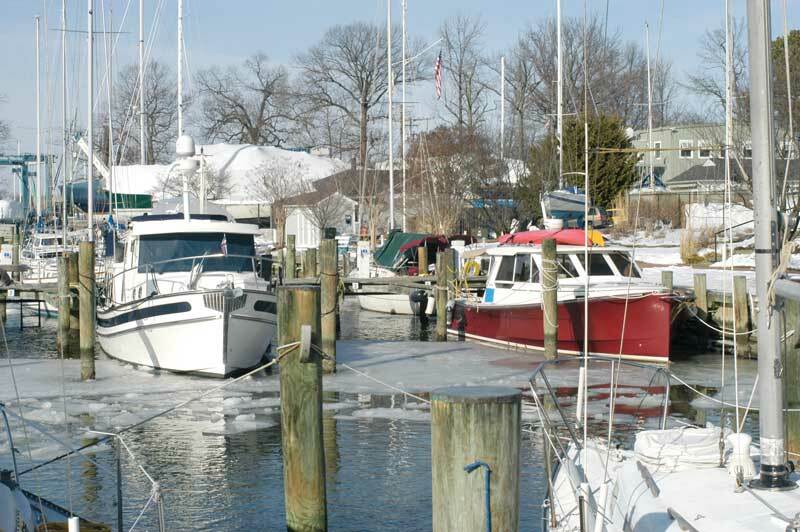 Frank Mummert, an Annapolis mariner who has been winterizing recreational and commercial boats for years, begins the process in July—by jotting down items for a checklist he’ll use in late fall, when he hauls the boats out for the cold weather. The key to successful winterizing is to be methodical. Mummert cites two big objectives that he keeps in mind in winterizing a boat. First, he removes all water and all cold-sensitive equipment from the vessel, so as to minimize the damage that may occur from freezing and lack of use. Second, he deals with budding problems, such as cracks and leaks, that might be likely to worsen when the cold sets in. “If you don’t do it right in the fall, you’re going to have twice as many problems in the spring,” he says. That means inspecting the vessel carefully before you begin winterizing, preparing an inventory of the problems you’ll need to fix, and making a checklist of the steps you’ll have to take to get the boat ready. For each boat, Mummert creates a digital spreadsheet listing each task, with a description of the work involved and a blank to initial when it’s completed. What should you remove from the boat before you winterize the vessel? 1. First, take off anything that might freeze or rot—canvas, curtains, and cushions; electronic equipment such as chartplotters, VHF-FM radios, Automatic Identification System receivers, and radar gear, all of which can be damaged by moisture and condensation; along with odds and ends such as strainer baskets, and store them at home. The same goes for emergency gear, such as fire extinguishers, lifejackets, ring-buoys, distress flares, air horns, and personal protection equipment, all of which might be degraded if they’re left on the boat in freezing weather or moisture. Not only are they vulnerable to weather, Mummert points out, but they’re easy prey for thieves. If you keep your boat in the water over the winter, you should consider using a bubbler to protect the hull. 2. Second, drain all the water out of the boat—from water tanks and holding tanks, hoses, and faucets to cockpit drains, scuppers, and bilges. Fill the water system with antifreeze (or compressed air) to minimize the danger of freezing. Remove stored liquids such as cleaning supplies, medicines, and other chemicals and keep them at home or in a heated storage unit. 3. If your boat has exterior teak, take it off if you can, or at least follow the manufacturer’s instructions about winter care. It may be worth an extra coat of varnish or other protective covering before the cold sets in. 4. Then, turn to the fuel and lubrication systems. Change the engine oil, and add antifreeze to the fuel tank. If you have a gasoline engine, bolster the fuel with an additive that improves stability. Diesel engine? Add a chemical to deal with biological contaminants. If you have an outboard engine, remove it for the winter. And don’t leave a portable fuel tank on the boat. 5. 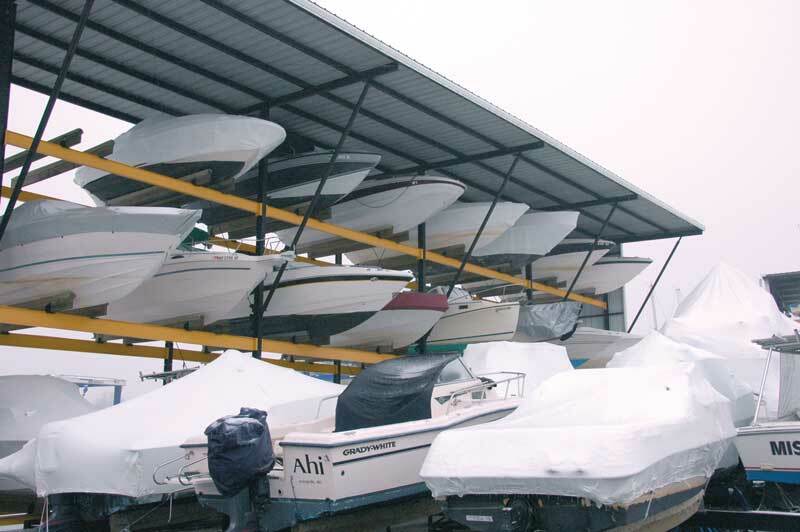 Should you shrink-wrap your boat for the cold-weather period? It’s your choice, Mummert says. Wrapping the vessel with plastic sheeting protects the teak and gelcoat from rain, frost, and other elements, but it can be costly, exacerbate the condensation problem, and risk creating blisters. Unless you demand that your boat be in pristine condition, it isn’t a necessity. 6. Haul out or leave your boat in the water? “That’s always a crap-shoot,” Mummert says, but in recent years the Bay has been free of ice, so there’s less danger that your hull will suffer damage. If you leave your boat in the water, place an electric-powered bubbler in the slip to keep the water around the boat circulating. Check your insurance: does it cover winters afloat? Another point about hauling out: arrange for it early so that the marina staffers have time to fit it into their schedule. And remember, if you want to put your boat back into the water early in the season next spring, schedule the haulout toward the end of the marina’s window. If you want to keep the vessel on shore longer, haul it out early, so you’re the last to go back in. 7. If you leave your boat in the water all winter, you can also schedule a so-called “short haul” in early spring—in which the vessel will be out of the water for only a few days—so you can work on projects that you can’t do once she’s in the slip, such as painting the keel or replacing the propeller. Since you won’t be using the boat in freezing weather, that’s the time to prepare a hot chocolate or hot toddy for the captain and the crew. See you next spring! For more helpful tips, visit West Marine's online winterizing guide.